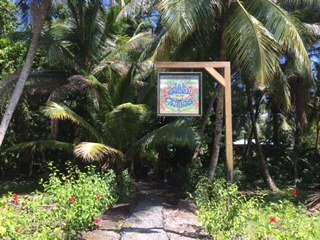 Here is a very unique opportunity to own an affordable income producing property on Isla Carenero. This beautiful property is a gem hidden away in the tiny local village on Carenero. It is so convenient to go to Bocas Town for shopping, bars and restaurants for only a 3-minute, one dollar water taxi ride. 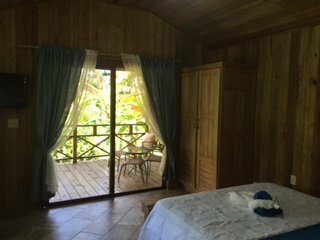 The owners are long-term Isla Carenero residents and are well known. They built three rental cabins and have decided to sell one or a lot to build another for rental. They have put together THREE options that make this property fit many buyers dreams and, above all, their budget! Option 2 is to purchase the lot next to the cabin have the owner, who is a general contractor, build a small house or cabin for you that can be used as a residence or a rental property. The 620 sq mts lot is $40K. Option 3 is to purchase both the cabin and the lot together for a discount and decide what you want to do with the option; reside, rental or land bank. The owners take great pride in their property. 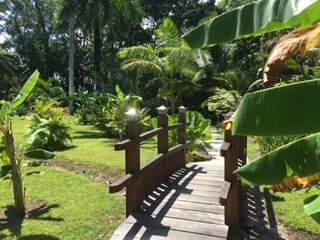 There is a short gravel pathway that leads to a very private world of green grass with tropical trees and plants cared for by the nature loving owners. 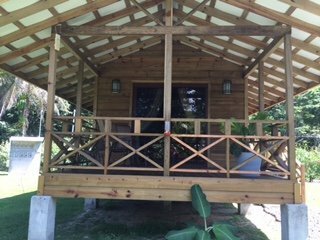 The cabins have city electric, water catchment system and septic. 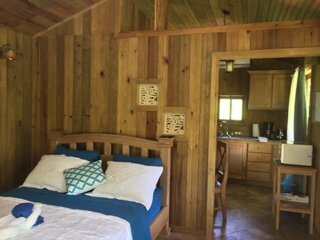 One cabin has a master bedroom and bathroom. 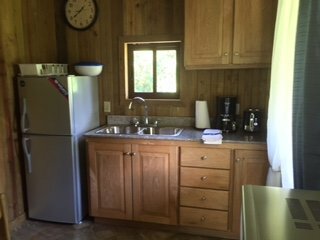 There is a small kitchen and a front porch where you view the gardens and nature. It is designed for rental but could be modified for your own small residence. Lot size approximately 350 m2. 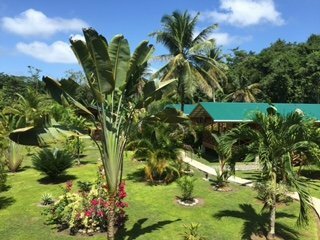 A title has been applied for and the land is very clean ROP (Rights of Possession) with long-term ownership The owners would entertain the option of a complete sale with cabins, lots and owners house for $340k . There are plenty of options to think about here. 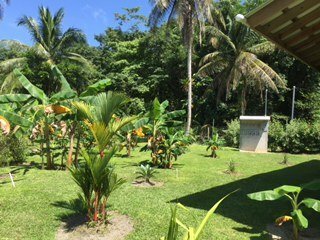 This is a great low cost opportunity to enter the popular Bocas market in a convenient location. NOTE: Google Earth does not show the current cabins!